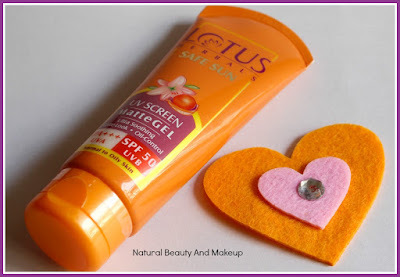 Natural Beauty And Makeup : Lotus Herbals Safe Sun UV Screen Matte Gel Sunblock, SPF 50 Review || Is It Worth The HYPE? An innovative Sunblock which is totally non-oily and provides a fresh and clean finish to the face, neck and hands. It protects against all forms of Sun-induced damage: Skin tan, sun burn, premature ageing and skin cancer. Directions: Apply liberally and evenly on face and exposed part of body. Reapply frequently, every 2 hours for best results. 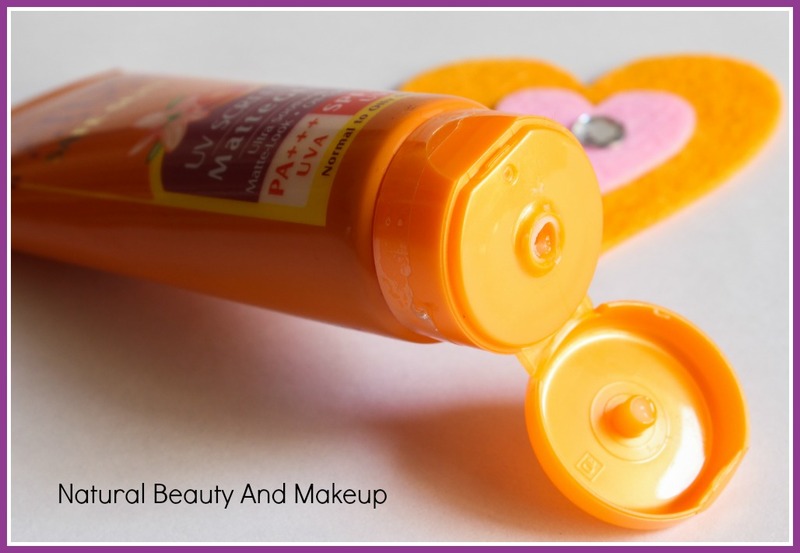 Lotus Herbals UV Screen Matte Gel Sunblock comes in a perfect orange coloured tube with a flip cap. The packaging is spill-proof hence travel-friendly. Product related details are mentioned at the back of the packaging. Ever since I have started using sunscreens, I had tried only one brand i.e Lotus Herbals until I came across other brands, like Neutrogena, VLCC etc. 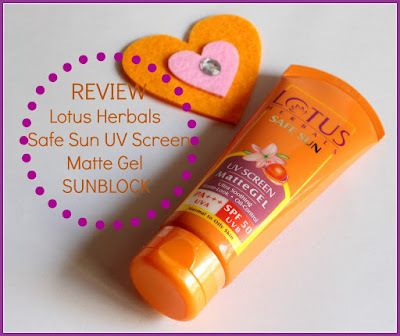 Prior to this one, I have used the creamier version of it which was Lotus Herbals Safe Sun Sunblock Cream, SPF 30. Now, I have both the sunscreens 😃 I used the cream formula during winters when my combination skin gets considerably dry and this matte gel sunscreen in summers to combat the oiliness. Anyway, this gel is highly effective for oily skin😍. I take an ample amount of this product and slather all over my face, neck and body. When applied on the face it spreads evenly without fuss and gives a perfect matte finish to the skin. It doesn’t leave any white cast on the face, unlike other sunscreens, a plus! It is advisable to reapply frequently, every 2 hours if feasible. In that way, it helps prevent all Sun-induced skin damages. BUT, if not reapplied, then forget about all its claims!! I always commit this mistake and never reapply sunscreen when I am doing outdoor activities. 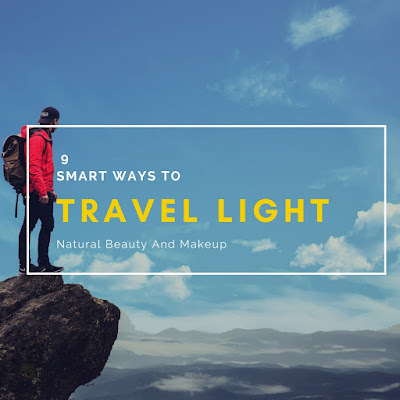 Be it travelling or just roaming around the city on a day time, every time it failed to protect my skin causing me sun tan, sun burn and what not. My fault here, I agree! But I expected at least 2 hours of protection having an SPF of 50! If you have a combination skin like me then ensure your skin is moisturised or at least toned properly else it never works well on the dry parts 😥 I have also noticed that in the summer time when I tend to sweat profusely, this sunblock gel controls the sweat to a great extent leaving my skin feeling non-greasy and shine-free 😊. Now, coming to my headline point, is it worth the hype? To be honest, considering its efficacy I would say, this is an excellent sunblock which mattifies the skin instantly by keeping the oiliness at bay! On the other hand, its ingredient list is awful 😡 It contains hazardous chemicals which in the long run will damage our skin and health. 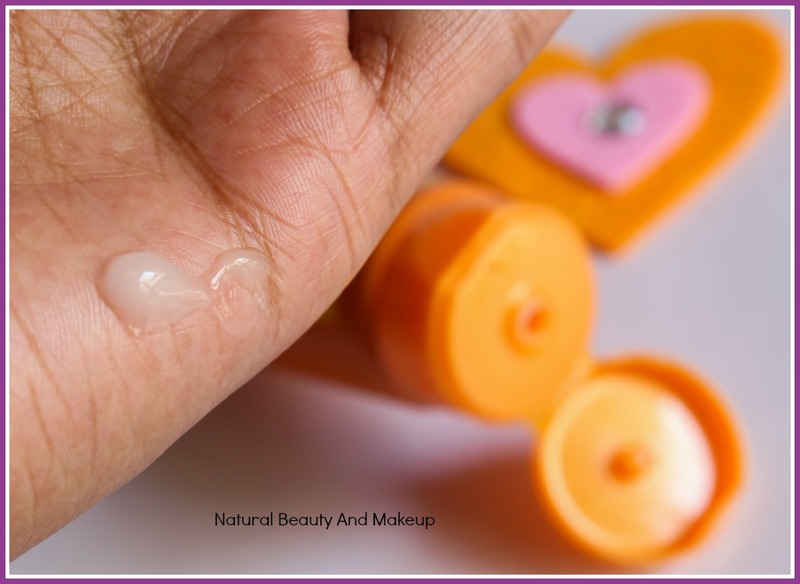 The presence of Phenoxyethanol, Paraben, TEA, Dimethicone & -Syloxane compounds amongst others are enough to decide whether we should include this product in our daily skincare regimen or not! Period. Although this sunblock gel is apt for summers, it failed to protect my skin from tanning having an SPF of 50 😒 But it works great in controlling the shine and sweat off the face! Have You Tried Lotus Herbals Safe Sun UV Screen Matte Gel Sunscreen Yet? If Yes, Please Share Your Experience With Me In The Comment Section Below. I often forget to use a sunscreen... Nice detailed review. Glad, you liked this review Soma <3 My advice, don't go for it! Thanks Andela <3 Sure, why not! But, I cannot see your profile in my followers list, could you please check it? i love this...probably only sunscreen which worked best for me without causing sweating... i like this one and spf 40 matte gel also... all other sunscreens sting my screen including neutrogena one... this one has dimethicone and parabens which i find con.. but honestly there is no sunblock or sunscreen which saved me from tanning, so for me it is con for every sunscreen/sunblock :D .. now a days i prefer products with spf in them rather than extra layer of sunblock but if requires this one or lotus 4in 1 matte sunscreen spf 40 are the 2 i rely on... loved the review..